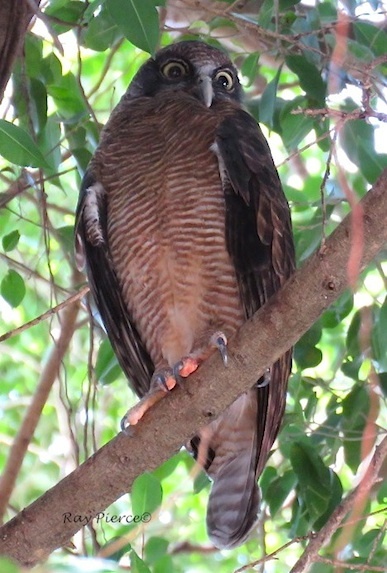 The largest owl of the Wet Tropics, but seldom seen. Presence given away by the deep slow “woo-hoo” call at night. Preys on animals as large as bandicoots and brush-tailed possums. Breeding: August to December in a regular hollow that the male cleans every year, leaving a bare floor of debris on the hollow’s floor.